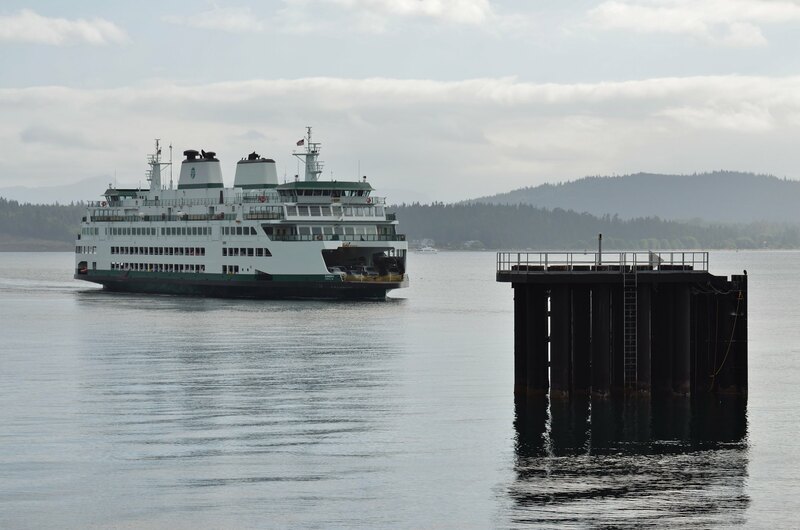 It looks like the Samish will be in service tomorrow Sunday June 14th when the summer schedule commences according to the reservations page starting with the 6am sailing from Anacortes to Lopez Shaw and Orcas! Yep, Samish will be running the #3 position. 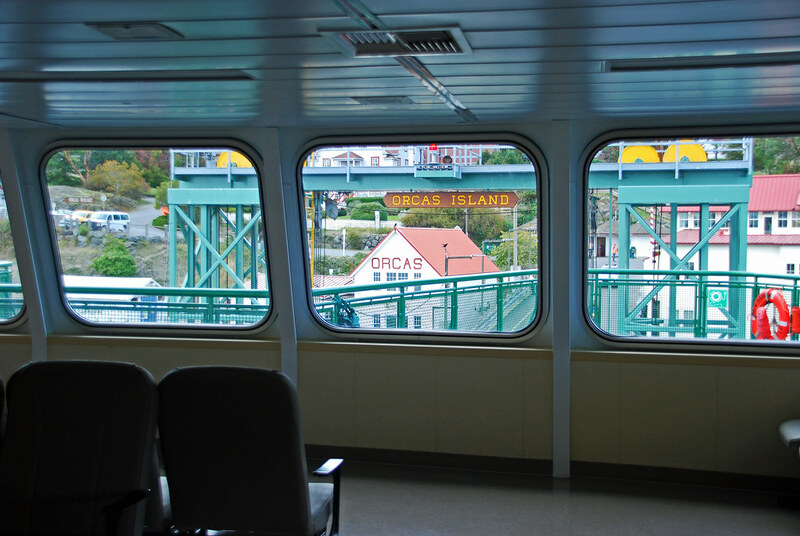 I will get my first ride on the new ferry when we head up to Orcas in a couple of weeks. She's in vesselwatch as #3. Wow. One message. Remember when this board would explode in uncontrolled delight because a new boat showed up? I was thinking just the same thing! I would have been there on the opening day if I hadn't had a prior commitment, at least I made the open house. Maybe I'm the only one who feels this way, but I just can't get very interested in new boats that follow so closely the design of all the others in the WSF fleet. Not to mention that the interiors are so bland. 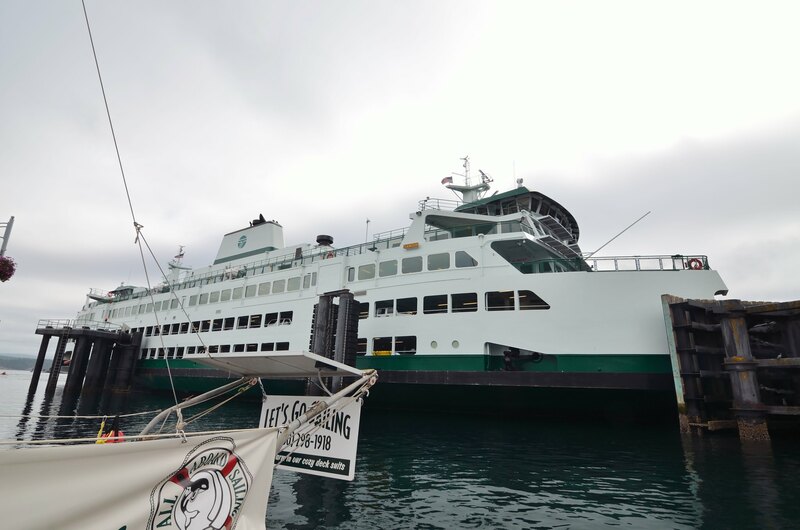 I was quite interested in the Sanpoil and the Oscar B., and I'd be paying attention if Lummi Island were to get a new ferry, other than the Hiyu. I like variety. 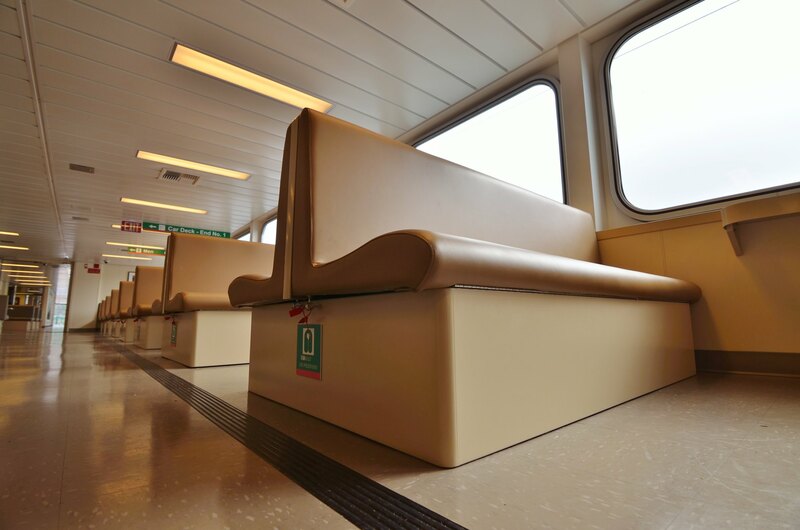 WSF ferries have basically been using the same template since 1968. 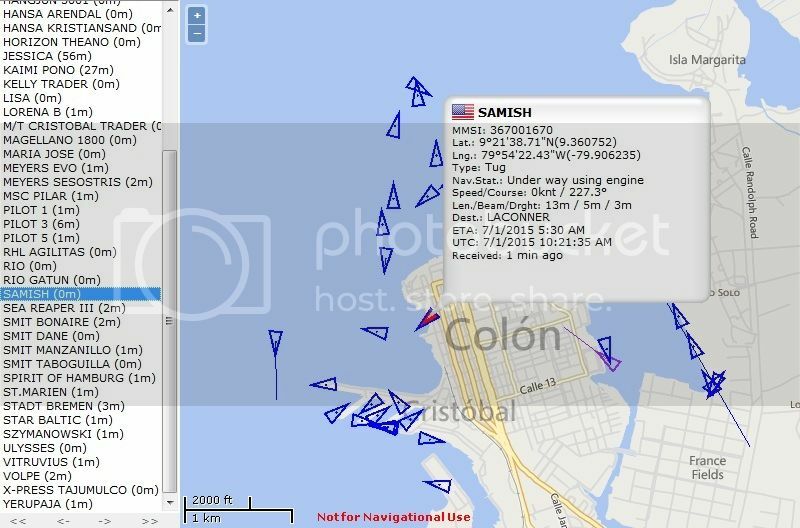 One thing I noticed was that on Sunday and into Monday, vesselwatch was displaying the Samish as "WSF" By Monday night it was corrected to "SAM"
Sorry, Barnacle, I wish I could have gotten up there to see it. Sadly, I'm living in Houston this summer. I was hoping to live vicariously through other board members, but it seems like a good chunk of the Washington State crew is otherwise occupied. Any thoughts on the new boat from your end? Well, I haven't worked aboard yet, save for a training day (and two aboard the Tokitae), so I don't have any real on-the-run experience with it. I will say she's a little heavier handler than I'm used to, but the rudders are pretty sporty. Also I had the pleasure to watch what happens when the boat, going full ahead, full speed, has the helm put hard over. The boat will turn sharply but not heel very much at all, and it almost completely stops. Neil, I'll grant you that the interiors are a bit bland. 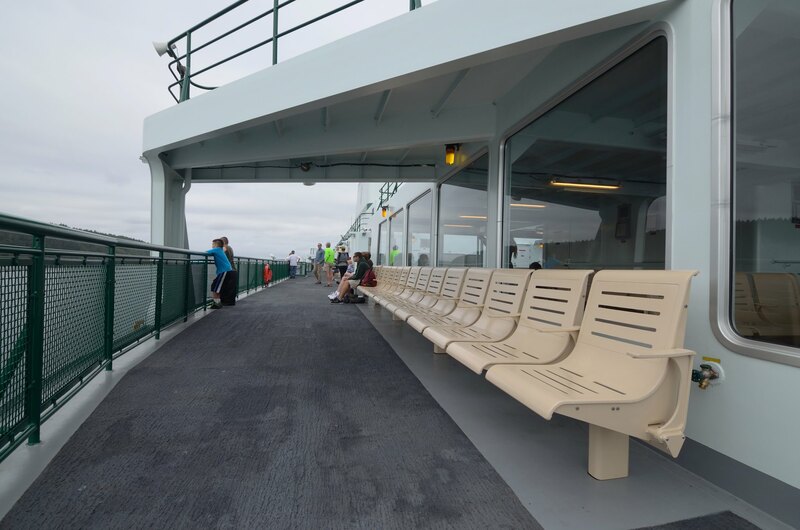 But accusing WSF of sameness when BCF had seven nearly identical boats.... Perhaps WSF's designs aren't as varied as BCF's in your eyes, but neither are our service needs. 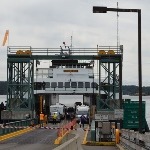 For example, we have absolutely no use for a cable ferry. But, Barnacle... after we punched out those seven boats in five years, we started building different stuff. WSF has been using the same cookie cutter for fifty years. And as I argued before, the fixation on the same template caused the construction of a much more expensive than necessary boat for the short Tahlequah route. Not every vessel in a fleet has to be interchangeable. 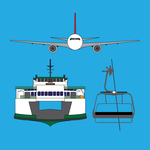 Of course, the WSF fleet would have more variety if it covered the routes currently offered by Kitsap, Pierce, and Whatcom counties. Seems odd that's never happened, particularly since Pierce maintains two boats when it only needs one. But really, my opinion is just an unimportant aesthetic one. 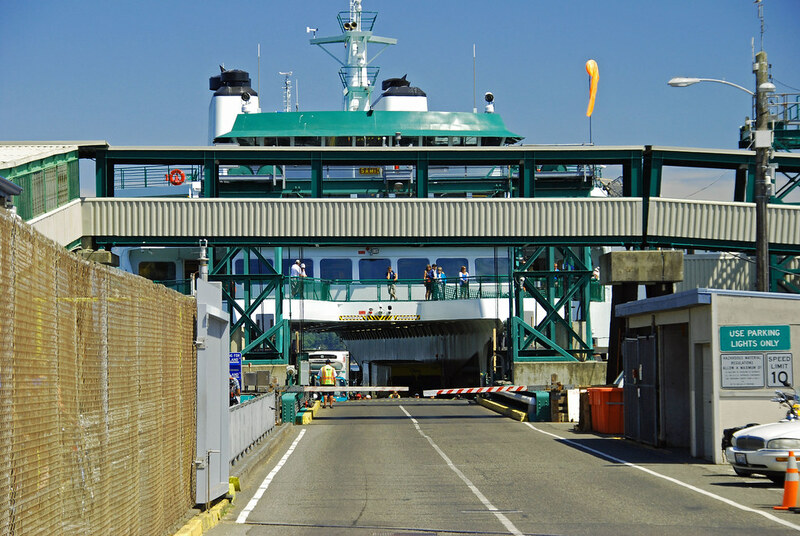 I recognize that WSF is an efficient, affordable system that meets the needs of Washingtonians pretty well, and with much less 'overhead' than BC Ferries incurs. You guys definitely know what you're doing. Oh... and we have absolutely no need for a cable ferry, either. But we're getting it anyway. I finally found out why there are those county boats, when, in my mind, it would just make sense to have them all under one state agency. 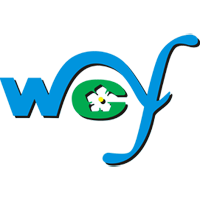 When WSF was formed as part of the State Highway system, that meant that the routes WSF served could only be those on what were considered State Routes. 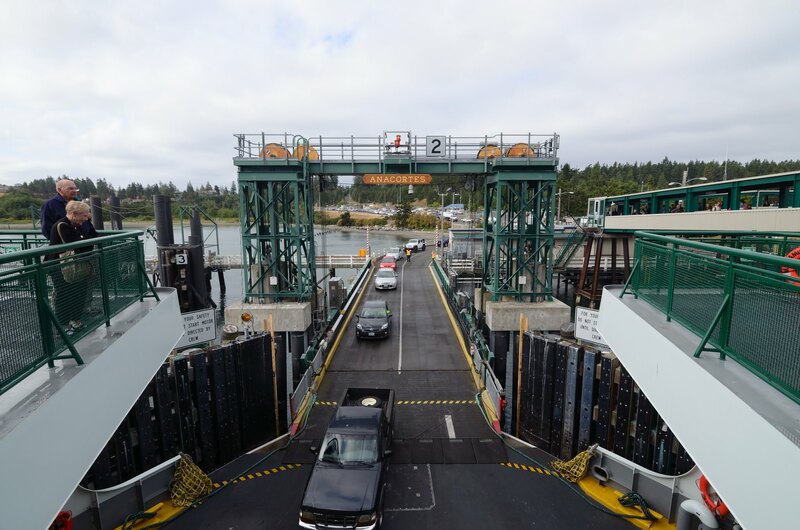 (Officially, the Port Townsend-Keystone, run, for example, is considered part of SR 20.) There might have been some torturous twisting of logic for some of the routes (i.e. Anacortes-Sidney) but at that time, that was justification for it. The landings at Pierce, Whatcom and Skagit are considered (or were at the time, anyway) county roads and not eligible for state ownership, which is why they still exist as county operated ferries to the present day--as much as I am sure a few of them would like to ditch county ownership and make it a state problem. Well, a small point of order... not every vessel in our fleet is interchangeable, and the one you mention is a case in point. 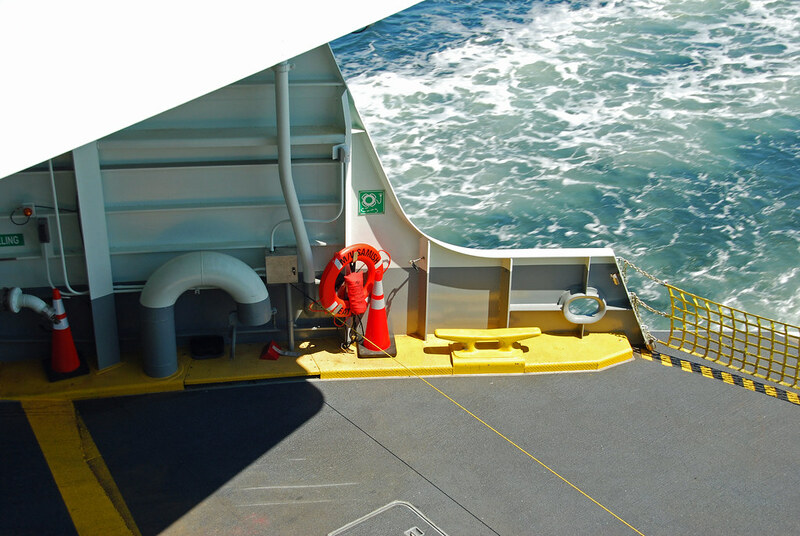 Tahlequah can handle pretty much any of our boats, but anything larger than a 90-car boat would require actual holding lanes. When a bigger boat is there, traffic from the north end bleeds off to the south. But the Chetzemoka wasn't actually built with Tahlequah in mind; it's just a good fit there. 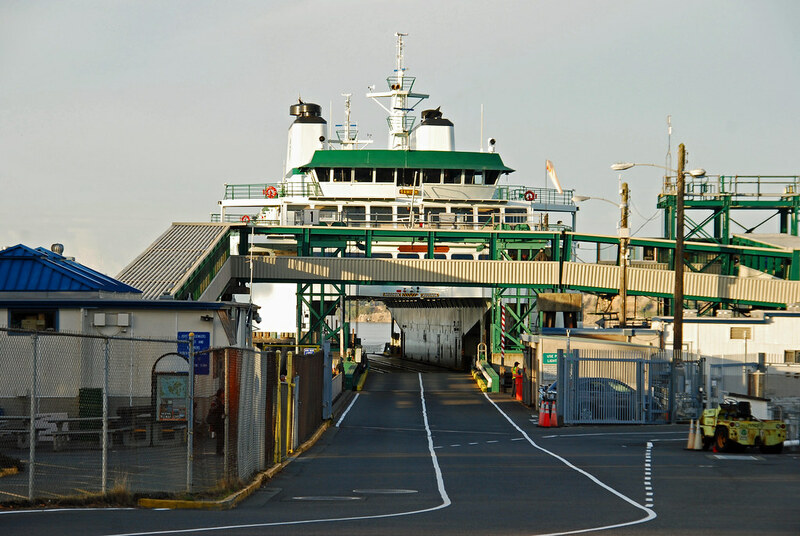 It's actually the ultra-backup boat for Port Townsend-Keystone. 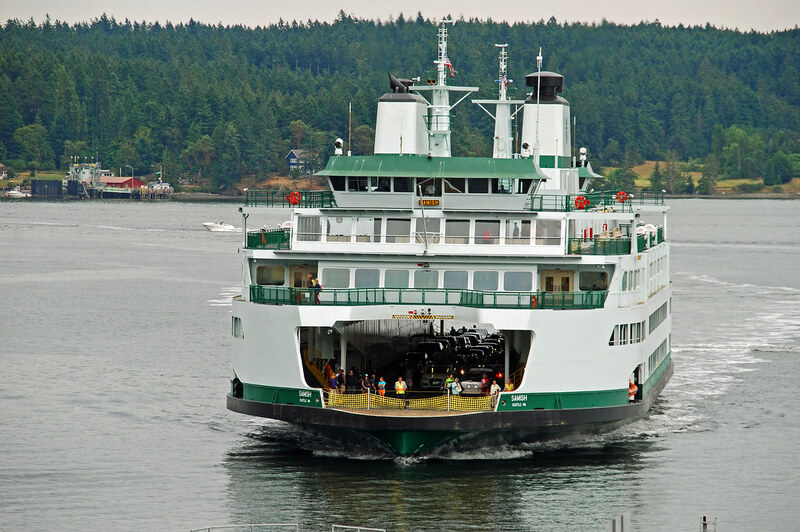 If one of the Townsend boats got sick, I'd bet there would be some shuffling in a hurry to get the Chetzie up to Townsend, and (probably through a lengthy series of gyrations) get the Evergreen State down to South Vashon. And only those who discovered the extra capacity would be the wiser. Got my first rides on Samish this past weekend. I was on the 12:35 Anacortes-Lopez-Orcas sailing on Saturday, June 27th, then again on the 14:20 Orcas-Anacortes sailing on Sunday, June 28. 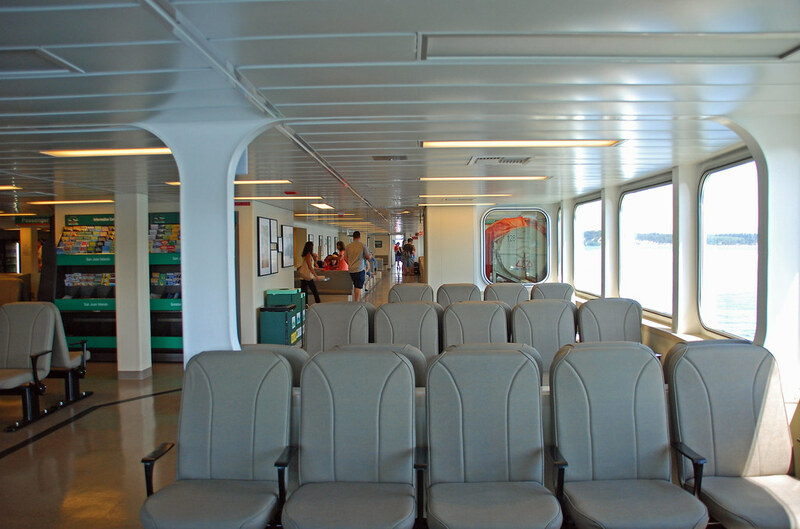 Aside from the very bland interior and uncomfortable bench seats, I find the new ferry to be very nice. 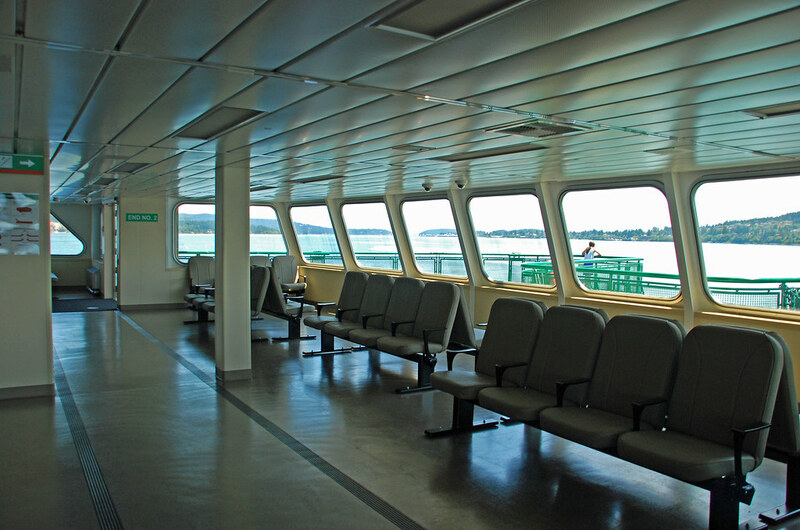 It has a very quiet cabin when underway with none of the constant rattling you have with the Supers. Of course, this is a brand new boat, so I would expect it to be better in that regard. 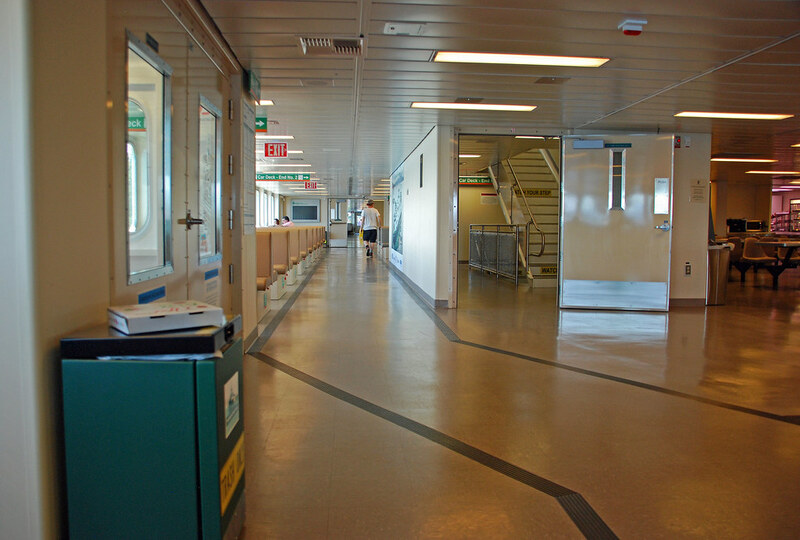 And, of course, I also really appreciate the extra room on the car deck for opening doors and general circulation space. 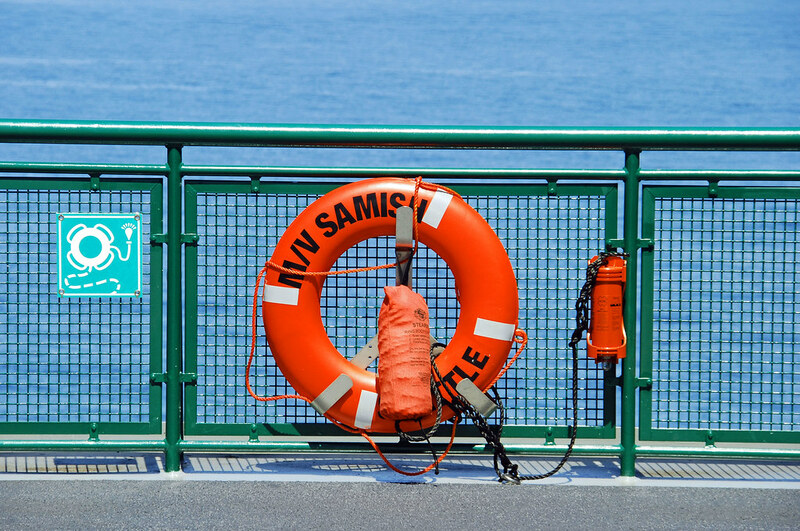 It looks like the Ferry SAMISH may be the only commercial vessel having this one-word name on the Salish Sea now. Dunlap Towing has sold their Tug SAMISH. According to Mr David Sellars of the Peninsula Daily News, the SAMISH towed logs from Port Angeles to Everett, Tacoma, and Olympia. Declining numbers of mills around here and a change of means of transporting logs made this 71-foot, 1940s tug mostly useless and ripe for the selling block. The World War II surplus tug went to the Dakota Creek Shipyard of Blaine in 1976 for conversion for her intended purpose of log towing. She was sold to Panamanian interests and is now in the Canal Zone. Today's ship tracker's confirm her new location. Good luck to the Tug SAMISH on her new endeavors! Been on every BC Ferry now!!!!! 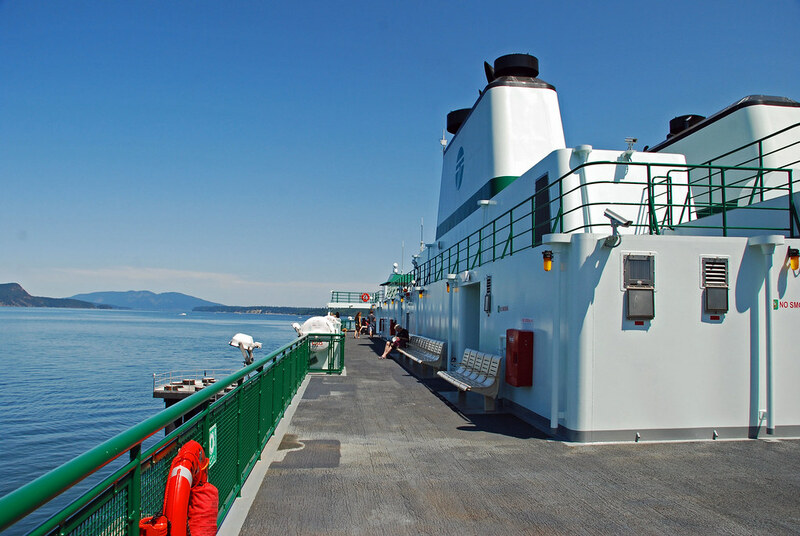 I happened to notice on the terminal conditions page there was a 10:30pm departure from Orcas to Anacortes on the Samish. 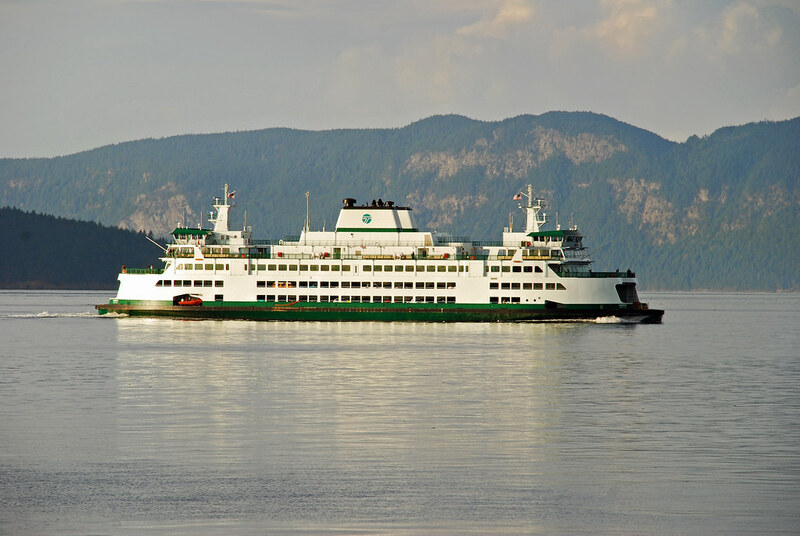 There usually is not a sailing at that time being the Elwha departs at 10:50pm for Anacortes but I assume it was added due to heavy traffic today. She usually deadheads back to Anacortes if I am correct?? 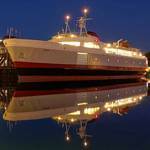 Next ferry trip, hmm, not too sure! 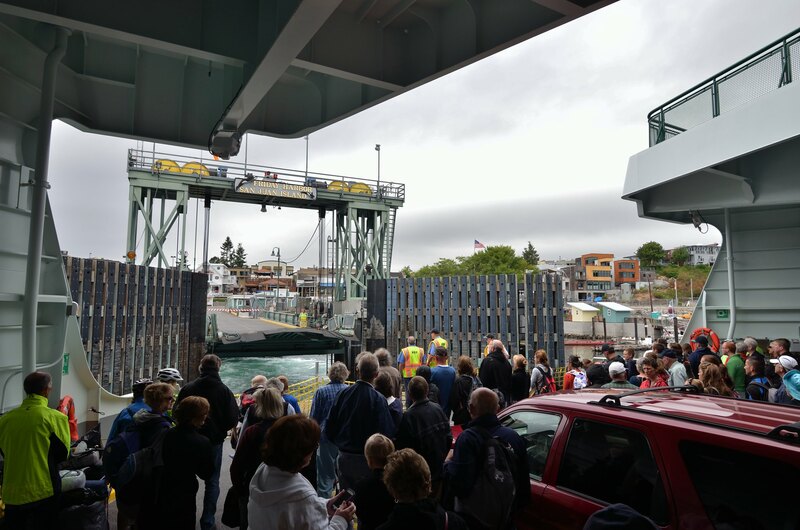 Here she's coming into Slip 2 at Anacortes. 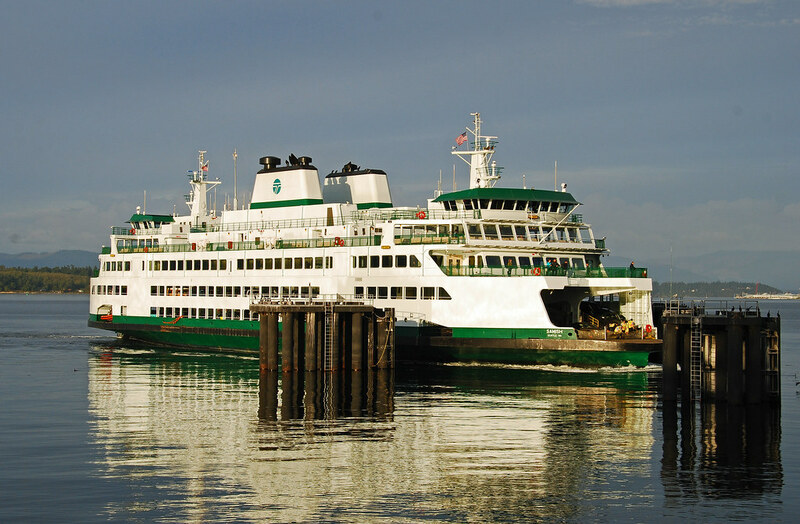 Since WSF changed the departure time to 9:10 AM she sadly no longer passes the Chelan on her way in. We didn't quite have a full load, but I think we still wouldn't have been full if the Hyak was here. Disappointingly, she still has the same dull brown interior as the Tokitae. Fingers crossed WSF spices up the Chimmacum's interior a little! Now before you say that she's not crowded at all, let me say that this was taken after most people went down to the cardedck, and that the cabin was filled with people during the actual crossing, much worse than the Hyak was, and this was with lots of people on the sundeck. 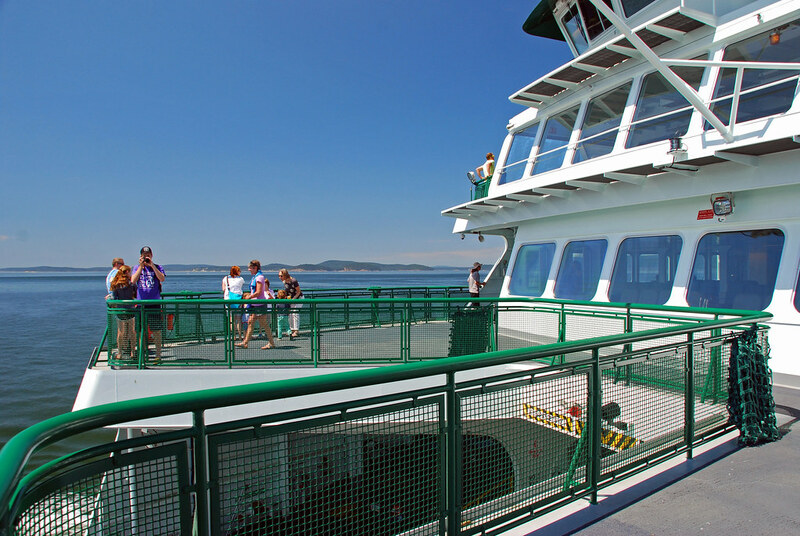 Her sundeck is a little bigger than the Hyak's, but not much. 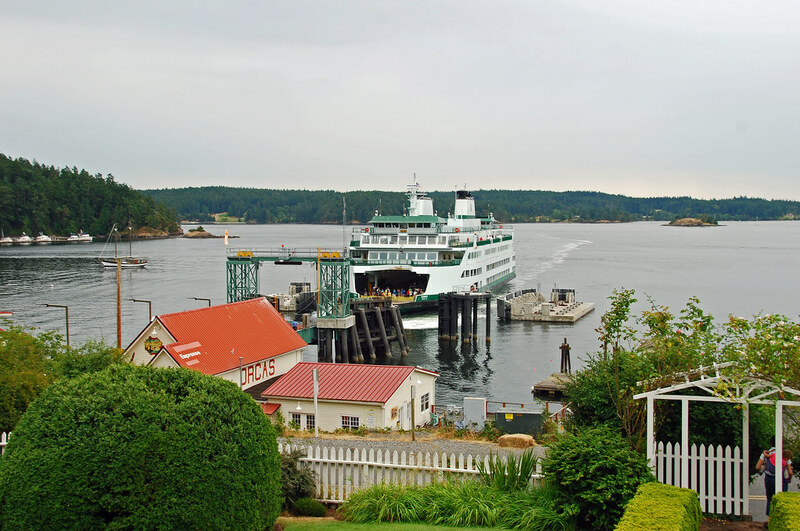 Here she's arriving at Friday Harbor. This picture shows only about 3/10 of the walk-ons waiting to get off. Overall, I was really disappointed with the Samish. I will say the the wide lanes are nice. However, her on-time-performance is awful and, most importantly, she handles crowds terribly. 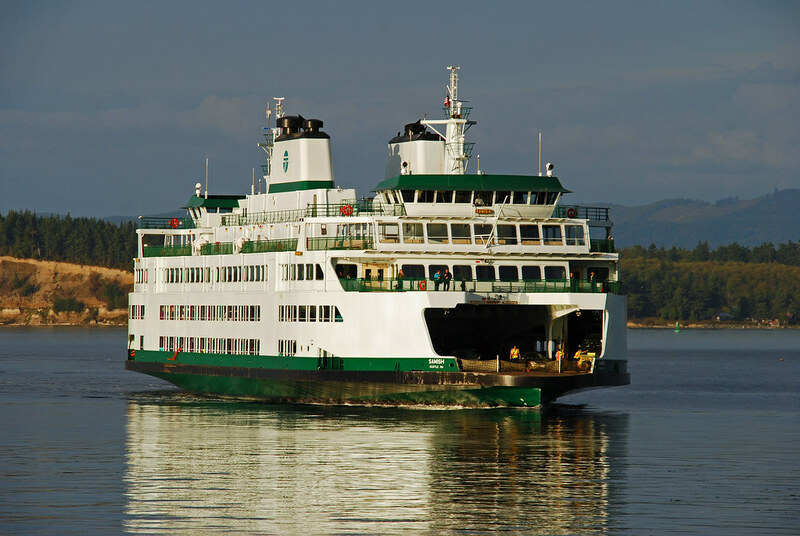 I know no one will agree with me on this, but I still think that the Samish would better utilized at Bremerton to replace the Kitsap, and Hyak would be better up in the Islands. Overall, I was really disappointed with the Samish. I will say the the wide lanes are nice. However, her on-time-performance is awful and, most importantly, she handles crows terribly. 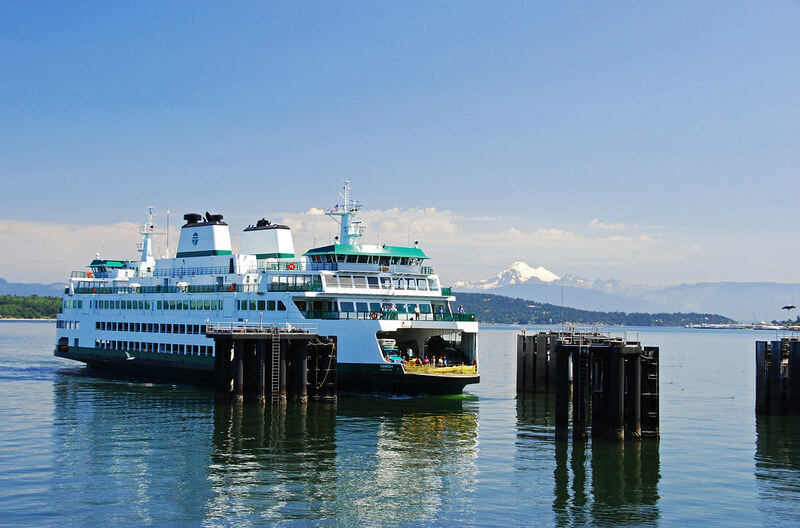 I know no one will agree with me on this, but I still think that the Samish would better utilized at Bremerton to replace the Kitsap, and Hyak would be better up in the Islands. But, how does she handle the gulls? Thanks for your report, and sharing what you thought of her. It's interesting to read people's perspectives. She handles gulls better than crows but no ferry will ever handle gulls as well as Kaleetan does. That's because gulls have to watch for arrows. "Kaleetan" means "arrow" in Chinook. To me, the interior colors of the Olympic Class represent the golden cliffs and gray sand we have here. Add green for the trees (brochure racks, Oscar's houses, signage, railings, and exterior colors). The Supers were delivered in similar colors. They came from California, known for its tan and golden deserts. 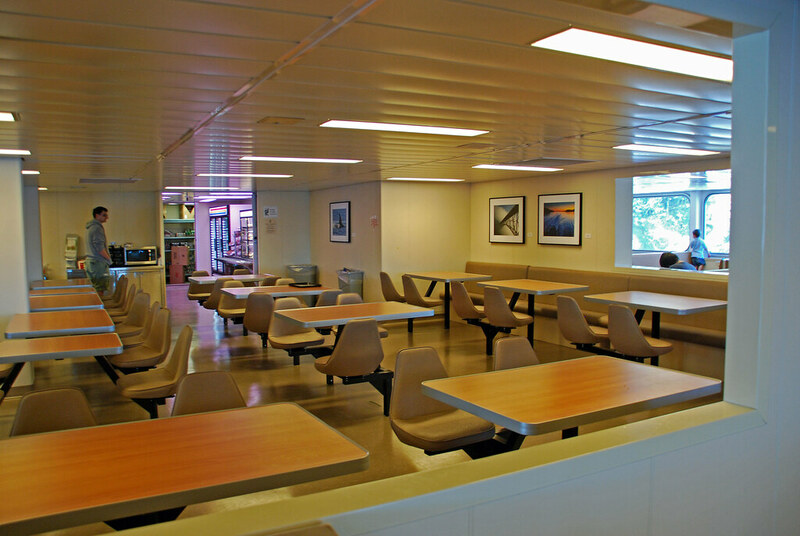 I really like the interior colors of the KDT ferries. 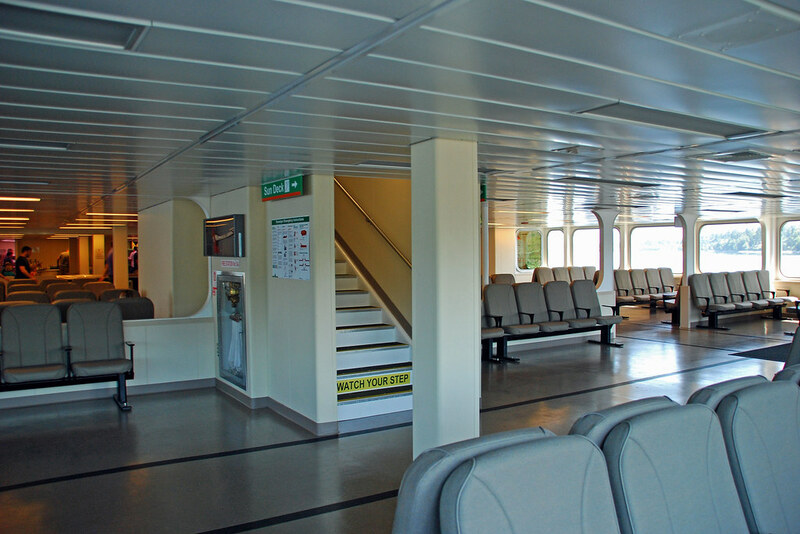 The green tile decking and benches brings me back memories of riding the older ferries. 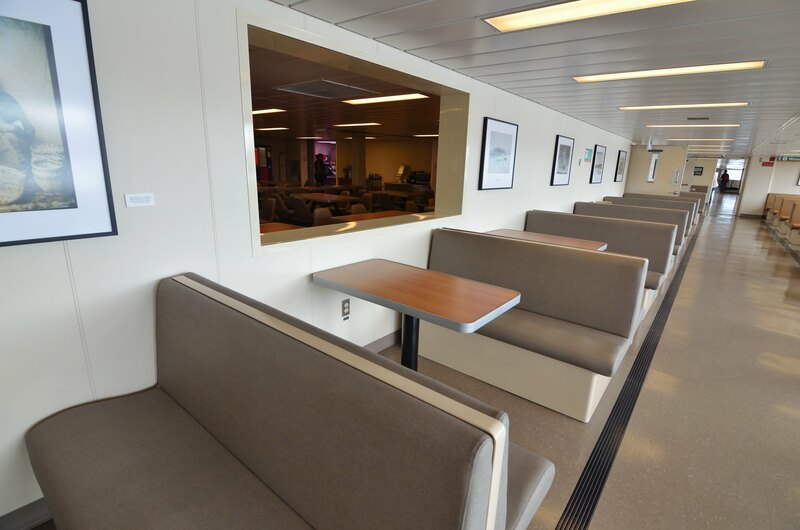 The Saloon Deck's simulated "wood" bulkheads adds a touch of class as if you are on a classic steamer. 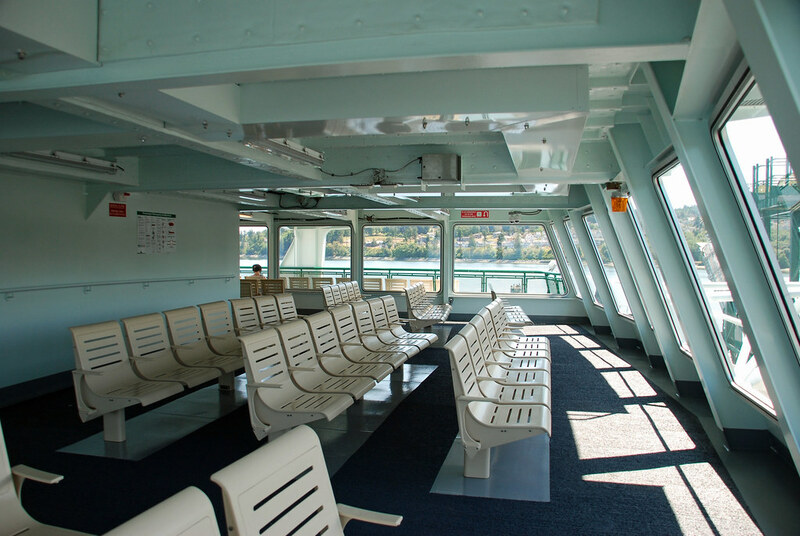 The white bulkheads with green tiles and seats on the MES decks remind me of the colors the wooden cabins the Steel Electrics and OLYMPIC had as well as the ES Class before they were clowned. Olympic Class: Gray sand and golden cliffs. KDT Class: Very classic "Evergreen Fleet" colors with a touch of the CHIPPEWA added on the Saloon Deck. 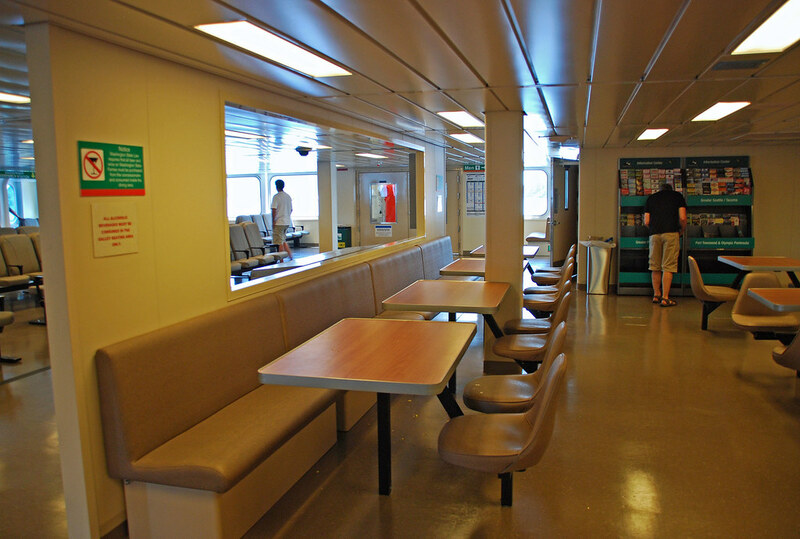 The interiors of WSF ferries have not been impressing me lately. I'm not expecting anything like the Spokane, but for gosh sakes this isnt UPS. Actually UPS would look nicer.